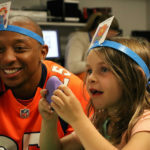 Mile High Sports 2017 Humanitarian of the Year: Chris Harris Jr.
Chris Harris Jr. is a world champion and All-Pro on the field. His work off the field is no less impressive. Butcher becomes only the third Colorado athlete to ever earn back-to-back honors with Mile High Sports, joining Abby Waner and Missy Franklin. In his third consecutive trip to the state title game, Pomona's Jay Madden finally came out on top. A trip to the All-Star game, a postseason appearance and more hardware. That was just the tip of the iceberg for Charlie Blackmon in 2017. America's top soccer prospect, Mountain Vista's Mallory Pugh, is playing a game her mother Karen knew nothing about. Montgomery this spring became the fourth man to both play on and coach national champions in NCAA ice hockey. 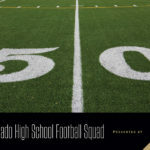 The annual All-Colorado High School Football Squad as selected by former Buff and Bronco Matt McChesney. A full season after his transfer from George Washington to Denver East, Daylen Kountz is right where he needs to be.